Pop quiz: What profession of care requires standing, walking, and running for up to 10-12 hours at a time? Did you say nurse? 20 points for you! Are you a nurse? Then you’re in the right place because I’m sharing the best nursing shoes to aid the plight of your poor feet. We appreciate the ﻿work﻿ that you do for us, and we want to repay the favor. A good pair of nursing shoes will make your job a little easier and a bit more comfortable. So, stick around. If you’re a nurse, you won’t want to miss this. With so many options to choose from nowadays, finding the best pair of nursing shoes can be a tedious task. The best way to know if something is of good quality is by asking other people about their experience with it. That’s what reviews are for. But there are so many to sift through, not to mention the high quantity of good products out there in the market today. Not to worry. The tedious work has been done for you, so you get to just sit back, relax, and assess which shoe seems to fit your needs best. Here are the best nursing shoes. You know what’s great about our individuality? We all get to show our personality in unique ways, even with something as simple as the kind of shoes we wear. Nurses need shoes mostly for utility purposes, and there are a few different types, which fit the bill. Depending on your style, you’ll choose from one of the following. Ah, the good old’ classic sneaker. They’re shoes that cover the entire foot and are made with a rubber sole. They’re usually pretty supportive. Sneakers are usually worn for day-to-day activities where not a lot of intense physical activity will be happening. They work well as a shoe for nurses because they’re supportive enough to last a long shift, but not too stiff as to cause discomfort. Tennis shoes are specifically made for more intense physical activities such as playing sports or going for a run. For this reason, they’re usually made very durable with a lot of support around the arches. Special shoe technologies make for a well-balanced shoe. Nurses appreciate ﻿tennis shoes﻿, as they usually are long-lasting and provide the most support. Slip-ons are well-liked by nurses for their convenience. The lack of shoelaces eliminates the possibility of them coming untied while you work. It also reduces pressure up to the foot that can be caused by shoelaces tied too tight. Slip-ons usually aren’t as well-supported as tennis shoes or sneakers. Most do provide nice cushioning inside such as memory foam, which make these extra comfy to wear. Nurses looking for convenience, ease, and softness will enjoy the slip-on variety. Nurses love clogs. Why? Because clogs are supportive, well-structured, and convenient to wear. Clogs are similar to slip-ons in that they lack shoelaces. This makes them extra convenient to put on. Clogs are usually very supportive around the ankles and arches, making them great for long hours on foot. They are usually more durable than slip-ons as well since slip-ons are usually made of a fabric material in the upper, while clogs are made with materials like plastic or wood. The name of this shoe should be very telling as to how great these shoes are for nurses who’re on their feet all day. Walking shoes are made supportive but flexible enough to provide some give. Since you won’t be doing intense physical activities in these, the shoes are designed with less stiffness than a tennis shoe. These shoes are made with a perfect balance of stability and comfort. Shoe companies excel at creating a variety of shoes for different uses and activities. We’re lucky to have so many companies to make many different styles, so we have plenty to choose from to fit both our lifestyle and personality. The following are some the best shoe companies that have produced exceptional shoes for nurses. Well-known in the clog market, Dansko is a comfort footwear company founded in 1990 by Peter Kjellerup and Mandy Cabot. Having found some of the most comfortable shoes to wear all day long as horse trainers, Peter and Mandy decided to start their clog company and found great success. Dansko designs clogs with some of the best shoe technologies such as contoured arch support and rocker-bottom sole. These technologies make for an extremely comfortable shoe for nurses. Dansko is a well-loved brand in the medical field. 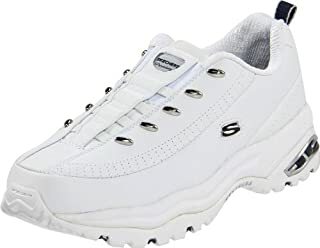 ﻿Skechers﻿ was founded in 1992, and began by making utility-style boots. Their utility-shoe beginnings have expanded to include many different types of shoes, but they remain well-loved by the labor community. 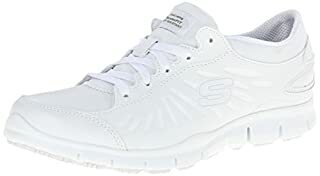 As the second largest athletic brand in the United States, you can count on Skechers to have a plethora of options whether it be for casual wear or sportswear. 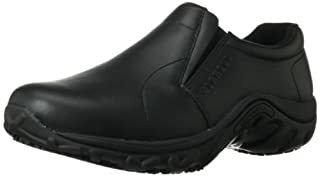 Skechers is well-known for making some of the comfiest walking and slip-on shoes for those long hours on foot. Teachers and medical professionals alike wear Skechers as their go-to work shoe. ﻿Merrell﻿ was founded by dream team trio Clark Matis, Randy Merrell, and John Schweizer. Randy handled the designs, Clark handled production management, and John used his extensive business experience to launch a successful shoe company. They began designing high-performance hiking boots. Merrell Company also produced comfort technology for boots and cross trainer models. They even opened an apparel line. Over a number of years, they produced and reproduced their signature “Jungle Moc,” well-liked in the medical field. You can bet it made our list. Swiss brothers Art and Ernie Brunner emigrated to the U.S... After enjoying tennis for some time, they decided to start a shoe company called ﻿K-Swiss﻿. They began by creating their classic K-Swiss tennis shoe as well as the first all-leather tennis shoe. They soon began marketing towards the young urban population and female consumers. Today they are well known for their casual style of shoe and are worn by many Americans daily. Skechers products are known for being durable. This slip-on shoe is no exception as it’s made with superb fabric and synthetic. However, the quality of materials is not the only reason why we believe it’s great for the nursing profession. These shoes bring the comfort in their expert shoe technologies. It features a super-comfy Ortholite footbed, which keeps the foot dry and bacteria-free. The insole is well-cushioned, while the Resalyte midsole is supportive. The midsole is also designed to absorb shocks and to provide extra cushioning for your foot. The outsole of this Skechers slip-on comes with GOimpulse sensors. The sensors cause your feet to send info to your brain about changes on the ground. This means you will react quicker if you step on a rock, for example. Another purpose of the GOimpulse sensors is to help you maintain a healthy posture, which is very important for those standing all day. The rubber outsole is very flexible, adding to the comfortable feel. The shoe is very lightweight, thus easy to walk in. You will not feel tired after walking in these slip-on shoes. Speaking of slipping them on, you can do it in a swift manner as they have a pull-on heel loop and a roomy forefoot. 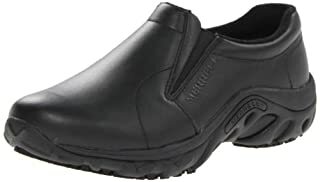 If you want comfortable nurse shoes, I recommend you to try Moc Slip-on Shoes of Merrell Jungle. These are simple, comfortable shoes with form-fit and elasticized panels. These shoes are made of smooth leather to keep things neat and comfy. With elasticized panels, these shoes offer a snug feel, fit, and flexibility. The Moc Slip-ons also offer excellent grip for walking on any terrain. An air pad midsole provides long-lasting comfort while standing and moving. This makes for a day free from extra troubles and tensions in the form of upset feet. These are even versatile enough to wear to parties and pubs. Luckily, these shoes are available in a variety of colors to satisfy your style needs. The shoes feature a guzzler suede upper. They also have a natural ability to prevent odor, so your shoes stay fresh. The sole of the shoe is made with an arch shank nylon molding which provides support. Compression molded (EVA) frame offers added cushioning and support for your feet. I like the air cushion provided in the heels as it increases stability and absorbs shock. With M Select GRIP tune, every outsole has durable traction to grip your feet to the ground. I am sure this will be a stylish addition to your wardrobe. 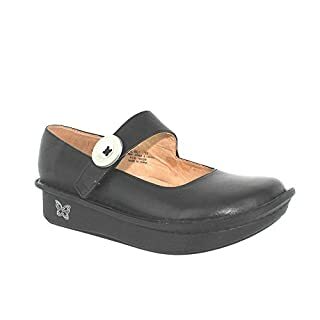 If you’re looking for a durable, high-quality shoe, consider adding Dansko Clog shoe to your collection as they are some of the most comfortable shoes for nursing. Each piece has a polyurethane rocker bottom sole, which I mentioned earlier. This sole protects your legs, back, and feet from stress. This feature allows the shoe to easily propel your foot in a forward direction in a natural fashion. These shoes are perfect for all-day comfort and offer stability as well as protection. With legendary comfort and arch support, you can stand for a longer periods of time without pain. These shoes also have a roomy toe box, as most clogs usually do. This makes them perfect for those of us with wider feet. I would definitely suggest going in-store to try some clogs on so that you can become familiar with the fit and style. The oily finish of rugged leather creates a moisture-resistant and durable surface. Use a damp cloth to clean suborn dirt and keep your shoes free from debris. You can get different styles and heights of heels as per your comfort. The overall style and construction of these shoes make them some of the best﻿ shoes﻿ for nursing on the market. Dansko is known for having high-priced wear, but these professional shoes are available at an affordable price. What a win! Algeria Paloma is known for making good shoes for nurses as well as other professions requiring a lot of standing/walking. This model is available in animal-print and has button detailing. Their excellent support and comfort make them really special. I like to wear them with both professional and casual attire. The ultra-soft interior keeps your feet nice and cozy. Special PU outsole aids in decreasing heel and metatarsal pressure. Flat bottom offers the greatest stability. The insole is removable in case you need to insert some orthotics. This insole is also leather which is naturally breathable, allowing for plenty of ventilation for the feet. Similar to Dansko’s, Algeria has included a rocker outsole. Your feet naturally roll from the heel to toe when you walk, so having a rocker outsole matches, even smooths out, your natural gait. These shoes come in an enormous variety of colors and prints so anyone will be able to find a pair that matches their style. The look of the shoe overall is different than other shoes I’ve seen, so make sure the design is attractive to you. If you’re looking for a classic and cute look to add to your ﻿best nursing scrubs﻿, you may enjoy these slip-ons from Skechers. The Premium Premix Slip-on Sneakers are beautiful and simple with all of the comfort qualities you could want. Comfortable foot bed and padded ankle collar make for all-around softness. They even made sure the tongue was padded, so the top of your feet get a nice plush pillow resting on top. My favorite feature is the memory foam added to the insole of the shoe. You may be working hard all day long, but your feet will feel like they’re walking on clouds! The soles of these shoes were made with durability in mind. The outsoles are made with rubber for good traction and the detachable foot bed makes inserting your own orthotics easy. These shoes lack some arch support so you may want to keep that removable insole feature in mind. With an insole made with leather, you can guarantee that your feet will be able to breathe and remain dry and fresh. If you dislike laces, you’ll enjoy these shoes. These are comfortable to wear and look great on your feet. With the help of elastic insects, you can enjoy the comfortable fit and easy on/off. 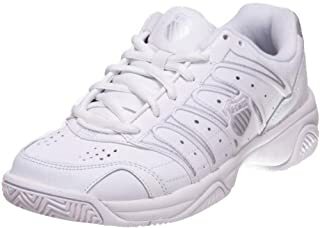 In my opinion, these are some of the best sneakers for nurses. 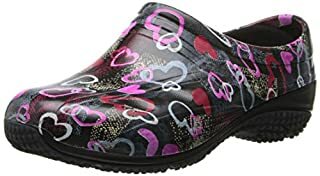 These are the best shoes for nurses on feet all day because of their comfortable qualities and unique features. The shoe offers a padded collar and removable inserts for everyone. They are also lightweight and have excellent features of nursing tennis shoes. Wavy heel outsole will protect your feet from shock and massive impact. This outsole also has good grip in the form of traction. If you are suffering from ﻿plantar fasciitis﻿, these shoes offer perfect support. These shoes keep your heel lifted to decrease the pressure that can cause pain for those with plantar fasciitis. Synthetic and soft leather mesh give a unique look to these shoes. More than that, the leather mesh is breathable. These are lightweight and stylish to wear on professional and casual events. Extra padding is available throughout the shoe for added softness. I like their Five-strip design detailing, exceptional finish, and color. These shoes win in both style and comfort. These nursing shoes are super comfortable and keep your foot in an ideal position for proper alignment and long-term benefit. It will keep your feet looking stylish and feeling healthy. As mentioned earlier, Merrell has spent years crafting a durable work shoe called the Jungle Moc. This shoe is at the top of the list of best comfort shoes for nurses by no small feat. The Jungle Mocs are made with a removable EVA foot bed, which provides great underfoot support, but if you need an extra boost, insert your own orthotics. Merrell’s Air cushion does a great job of absorbing shock and reducing friction. These shoes come in the slip-on style making them ultra-convenient for those rushed mornings. The Suregrip outsole provides long-lasting non-slip traction to counteract any slippery floors. This is a high-quality shoe made with full-grain leather and breathable mesh for ventilation. Additionally, these shoes have the added M Select FRESH feature which deals with any unpleasant foot odors. Perhaps they’re not the most stylish shoes, but you’ll find that most utility shoes have this in common. They come in the standard black, white, and brown options. Some nurses may find these a bit tight on the top of the foot. This may be a sizing issue, so, if possible, try to find a store where you can try the shoe on for size and feel. These shoes will keep your feet warm, dry, secure, and comfortable. They are some of the best shoes you could buy for nursing. If you’re looking for a shoe that is lightweight and comfortable, Skechers has you covered with the Eldred Work Shoe. Skechers loves implementing their memory foam in any shoe they can, and their comfort walking shoes are no exception. To be honest, it’s probably the primary shoe they’re thinking of adding this comfy feature to. Similar to the Jungle Mocs, these shoes are made with a leather upper and slip-resistant outsole. The leather upper ensures durability and a smooth look. The outsole provides protection from greasy, oily surfaces. What makes these Skechers stand out is the lightness of the shoe. You don’t want to be lugging around extra pounds in the form of structured shoes. 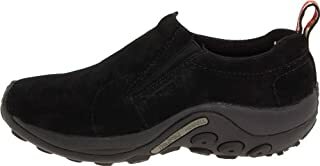 These Skechers are made for maximum comfort and lightness, so you don’t have to think twice about your feet while you work. There is no break-in needed for these shoes; they are ready for you right out of the box. The lace-up feature may not be as convenient as a slip-on style, but you can rest easy knowing that the shoe will stay as secure and snug as you need them. Nurses with wide feet: Take note that these shoes have been known to be rather slim and narrow. They offer a number of different widths, but trying them on is much advised. If memory foam and lightness sound like the key features that help you fall in love with a shoe, these Eldred’s from Skechers may be just what you need. Enter the ever-famous nursing clog from AnyWear. 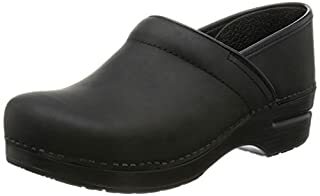 These clogs were made specifically for those in the health care and food service fields. Clogs, in general, are easy to slip on and off with convenience, but are usually known to be stiffer in form. Not so with these clogs from AnyWear. AnyWear Exact Health Care clogs are made with a flexible traction-pod outsole, which makes these more malleable than most clogs on the market. The inside of the shoe is comfortable and supportive with a removable insole, which offers a good amount of arch support. Although the outsole is flexible, the overall fit of the shoe can be a hit or miss. Most will find these clogs run wide. The lack of laces makes it imperative that you find a size that fits your foot securely, or else you’ll be sliding around all over the place. AnyWear claims these shoes to be slip-resistant, but that seems to be debatable amongst consumers. Make sure to use some caution when walking across slippery surfaces. Another thing to take note of is the non-breathability of these shoes. Since your feet are trapped in the plastic with no ventilation, expect hot feet at the end of a long shift. I would suggest wearing these with socks, so you aren’t walking around with stinky feet. These clogs are a well-made comfort structure shoe that will provide convenience and a comfy ride all day long. 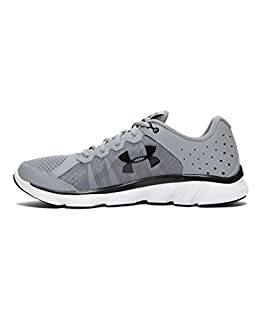 Probably the most stylish of the list, Under Armour came out with the Micro G Assert 6’s are the best tennis shoes for nurses. With a foam midsole and EVA sock liner, these shoes are soft and comfortable to wear for long periods of time. The insole is removable if you need to add some inserts. The overlay upper is made with leather for stability. The entirety of the shoe itself is made with lightweight material, so you don’t feel like you’re dragging around any extra weight. These shoes are structurally sound as they are made for intense physical activity. This is a good feature to have as a nursing shoe should be stable and durable for long periods of wear. One common complaint of this shoe is the size. Under Armour shoes tend to run small, so ordering half a size, or even a full size larger may be recommended. Along with the smaller size, those with wide feet may want to look elsewhere for a shoe. Overall, these shoes are very comfortable and will last you a long time on the hospital floor. They’re also nicely designed- your patients and coworkers are bound to give you plenty of compliments. So, what makes nursing shoes most comfortable for your feet? A good pair of shoes should definitely be comfortable. They should fit your feet correctly and be lined with soft cushy goodness that feel like clouds around your feet. Okay, maybe they don’t have to be that plush, but plush enough that you don’t think twice about your feet throughout your entire shift. This could be in the form of memory foam or a nicely cushioned insole or heel wrap. These shoes are going to be worn for long hours and up to 5-6 days a week. For this reason, you’ll need nursing shoes to be durable and up to the challenge. Stability comes in the form of adequate arch support, good structural design, and overall quality of the materials. Many shoes are made with special technology in the sole that encourages shock absorbency. This reduces the impact of hard floors on the body. Assess your foot type. Do you have ﻿﻿flat f﻿eet﻿ or high arches? Are your feet wide or narrow? Do you pronate (roll in on arches) at all? What about any foot conditions like plantar fasciitis or bunions? Do you experience a lot of lower back pain? When you search with your feet in mind, you create the best probability of finding the most comfortable shoes for you and you only. As a nurse, you’re looking for a utility shoe. You’ll ultimately want shoes that are close-toed and provide protection from splashes or spills. Similarly, you’ll want to make sure those bad boys are slip-resistant. Last but not least, check out the price. Many nurses will understand that quality usually does not come cheap, but you’d be surprised how many shoe companies create some well-made shoes at a decent price. Think about your budget, and remember that shoes are an investment. Taking care of your feet means taking care of your ankles, back, and overall well-being. Feel confident that your shoes will have your back (literally) while you work. Your profession is highly praised for good reason, and nurses work extremely hard to save lives. Your shoes should work just as hard for you. A good pair of nursing shoes can go a long way in creating a comfortable, pain-free experience for your feet and back. With shoes that are lightweight, durable, and protective, you can focus on the important tasks at hand every single day. You might be interested in in my review of the best ﻿Zumba shoes﻿﻿.